It's not been a long time since the current version of Apple's Mac OS, called Lion was released. Apple has already revealed its next version, 10.8 Mountain Lion, which is due to be released this summer. Here's an overview of the major new features that will be included with this update. The new version of OS X moves even closer to being iOS. Lion brought Launchpad, which arranged all your app icons like on the iOS Home Screen. But Mountain Lion will bring a huge load of iOS 5 inspired apps to the Mac. This version may not be as much of an upgrade for Lion users, like Snow Leopard (10.6) was for Leopard (10.5) users, but it sure moves toward a more unified Apple ecosystem. 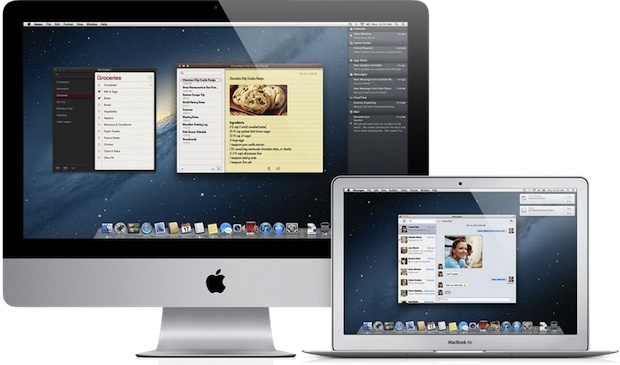 OS X 10.8 has already been released as a developer preview for people who are part of Apple's Developer Program. Now, your Mac will let you set up iCloud right during the initial set up. iCloud will let you sync a wide variety of data across your Apple devices. The main focus is on the Documents in the Cloud feature, which will let you sync documents from the iWork suite (and hopefully other apps later on) with your iOS devices. Changes show up almost instantly. Mountain Lion brings iMessage to the Mac. Along with other IM services such as AIM, Google Talk etc, you can carry on iMessage chat sessions on your Mac using iCloud sync. Yes, Apple is also bringing two iOS apps to the Mac. The simple, straightforward Notes app and the new tasks app, Reminders from iOS will be included in Mountain Lion. Like with all the other features, your notes and reminders will also be in sync using iCloud. 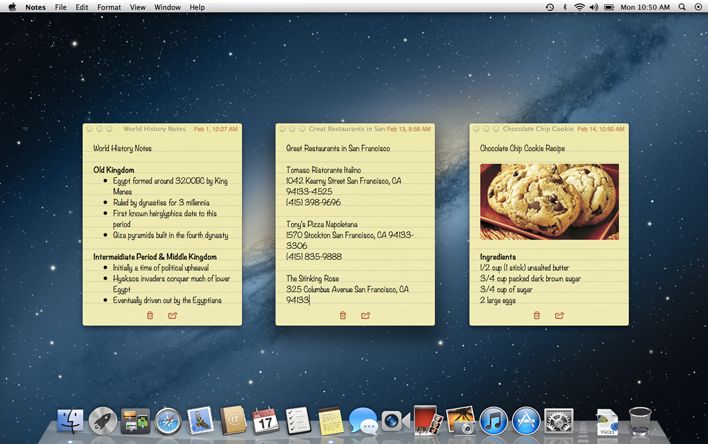 The Notes app will also let you pin notes to your desktop. You can now also insert photos into your notes. Hopefully this feature will make its way to iOS. I've felt the need for it on several occasions. Now this sounds interesting. The Notification Center from iOS 5 is also coming to the Mac. 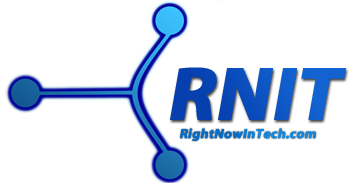 It will collect alerts from everywhere and organize it in one place. The banners that show up on top of the screen in iOS will show up on the top-right of the screen in Mountain Lion, similar to the way notifications show up in many Linux environments. Like in iOS 5, you can now sign into Twitter once and tweet from everywhere. There's the familiar share menu from iOS in many apps, such as Photo Booth and Safari now as well. This is huge. Game Center from iOS has finally made its way to Mac. Mountain Lion supports Game Center integration in games. Hopefully developers will embrace this. 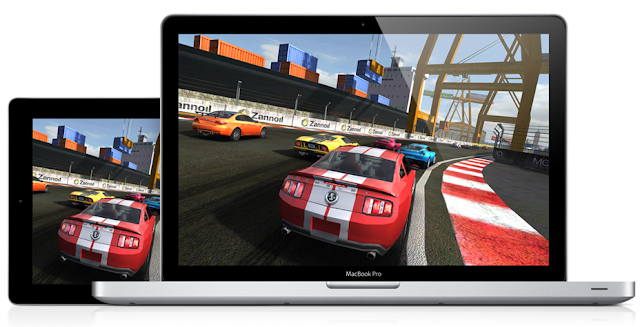 You will be able to compare highscores, play multiplayer games and earn achievements in games made for Mac. Now you can mirror your Mac screen on your HDTV using Apple TV, all wirelessly. Great for presentations, movies and so much more. I think that this feature will be quite controversial among manufacturers of HDMI cables and such, won't it? But well, how many people own the infamous Apple TV box? This is basically Apple's "Microsoft Security Essentials" counterpart. Gatekeeper can be used to restrict the installation of apps from certain sources etc. It also keeps you safe from the few Mac-affecting malicious software that are out there. Other than all this, Mountain Lion will also have a number of smaller new features, such as integration with some Chinese Internet services such as Youku and Weibo. Developers can download the preview for Mountain Lion from here.